There are many questions to consider when choosing a relocation company. Here are some things to consider. Many of the following are things people don’t think about until after they pick their mover, and then it is too late. Will the mover take care of my home? With Carpenter Bros. , the driver notes any pre-existing home and property damage on the home condition report; afterward we protect floors, door jambs, railings, etc. Origin and destination home will be taken care of. Will the movers wrap my belongings? With Carpenter Bros., all furniture will be wrapped and unwrapped inside the customer’s home. With this one step, the customer gets to see the cleanliness of the pads that will cover their belongings, the skill level of the crew, and get the peace of mind knowing the belongings have had every precaution to ensure their safety. Not that they have to keep looking out the window to see if their items are being properly covered. Who can I call with a question? Carpenter Bros. office is open Monday through Friday from 8:00 am to 5:00 pm. What if I want to pack myself? 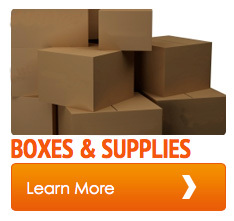 New boxes can be purchased from Carpenter Bros. as well as used boxes that are sold at a discounted rate. Packing materials can be picked up or we will drop them off. How can I pay my bill? Cash, Money Order, Mastercard, Visa or certified funds are accepted for local and intrastate moves. For Interstate moves all major credit cards are accepted as well. Payment is to be made prior to unloading. What happens if I need storage? 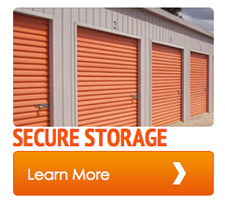 Carpenter Bros. has a 17,500 sq ft secured facility located in Plattsburgh NY. It meets all requirements set by Arpin Van Lines as well as the US Government. All rates will be explained prior to your relocation. Where will I go to check out by local agent? You can check with AMSA and well as Arpin Van Lines to check our ratings.